Jordan and Scott share their love for beach music, shaggin’, gorgeous sunsets, and Bojangles’! So having their wedding at the home of beach music in the crystal coast of North Carolina was the perfect setting! We met at their Beaufort, NC engagement session. This particular evening had all the makings of an epic sunset, and boy was it ever! During their engagement session, Jordan and Scott had a fiery sky of reds, pinks, and oranges - it was a photographer's dream. As fate would have it, the sunset was just as gorgeous on their wedding day at The Country Club of the Crystal Coast. Chad and I have a wedding day photographer tradition of indulging in a hearty cajun filet biscuit with cheese (trust me, ADD cheese) before every wedding day. So when we showed up to a huge Bojangles' box where Jordan was getting ready, we knew the day would be awesome! Jordan and Scott were extremely laid back while they were getting ready. 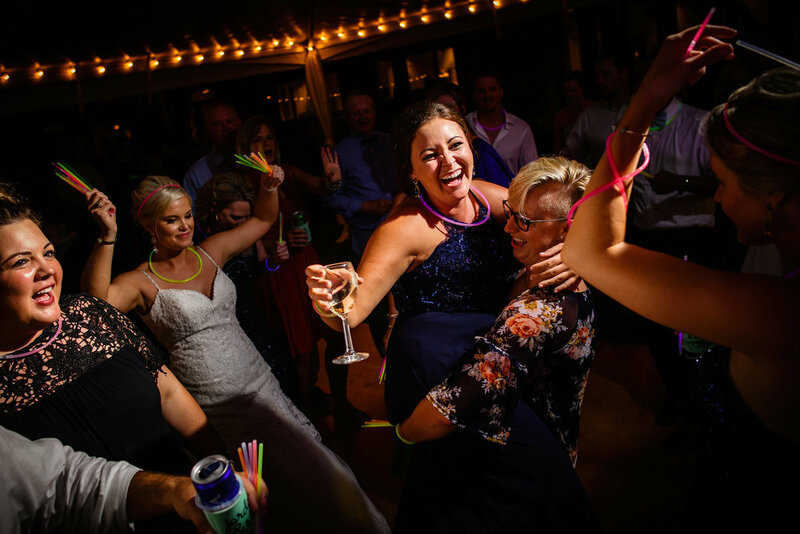 We are so glad they saved their energy for their reception - it was a BLAST! They had The Entertainers Band play some amazing beach music throughout their reception. We were able to sneak Jordan and Scott away for sunset portraits during the band’s break (I’ll just let the sunset photos speak for themselves.) The night was filled with many laughs, dances, and incredible memories! 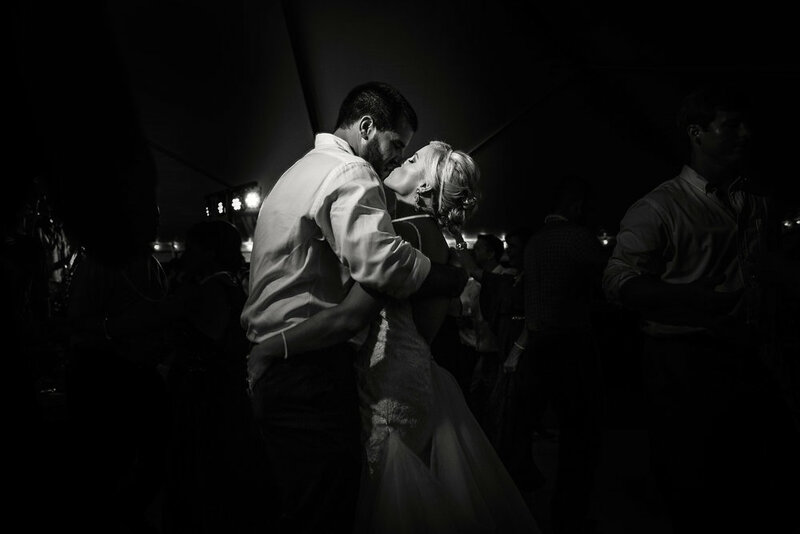 Jordan and Scott, we want to thank you so much for allowing and entrusting us to document just one of the many special moments in your life together. We couldn’t be happier to have shared this wonderful day with you both! 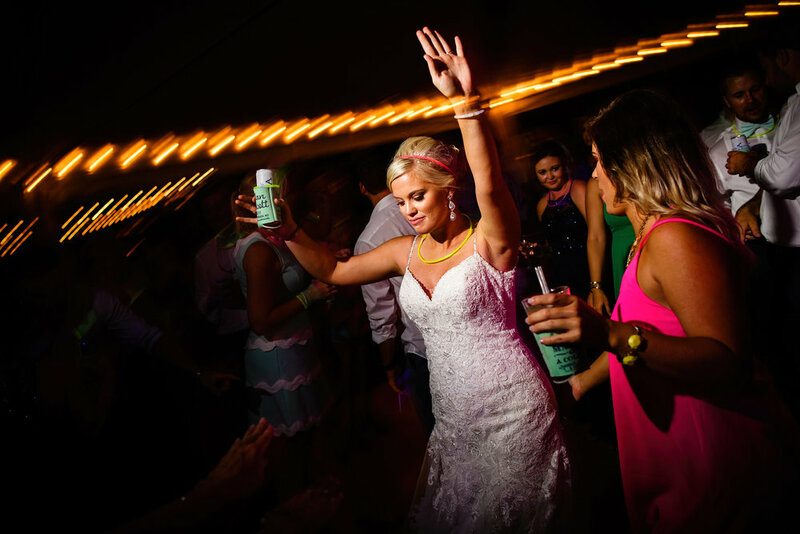 Take a peak at more wedding photos from Jordan and Scott's Eastern NC wedding at the Country Club of the Crystal Coast in the slide show below!